Get the inside perspective from the storytellers at Bungie and step into the boots of the new cast of characters fighting for survival inside New Mombasa. From the battle-tested team of ODSTs to the civilians' desperate plight, the team at Bungie knew the stakes were high. 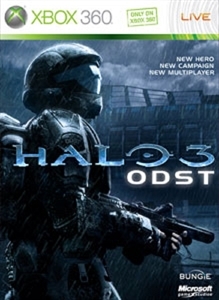 See how they layered an ensemble cast into a combat-effective story, and then brought performance and sound together to cast light and life into the darkened city of New Mombasa and Halo 3: ODST.